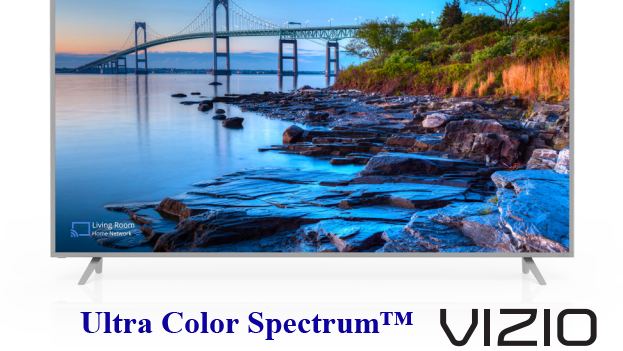 The VIZIO TVs premium series officially supports Ultra Color Spectrum ™ technology. This title was patented in 2015 (early registration). Her presence on TV depends on the quality of the screen panel as the TV processor processes the digital image is exactly the same, regardless of the TV model, to achieve a qualitative change in the image is only possible by improving the screen. In TVs with Ultra Color Spectrum technology installed improved screens, improved only affects the availability of local dimming backlight LEDs are divided into zones, which allows disabling the screen backlight in dark scenes. An opportunity to improve the production quality of the screen, unfortunately the manufacturer does not specify this option.